Your Nickel's Worth: What are flight PC simulators? What are flight PC simulators? Often flight instructors and flight training schools use a particular type of software, which reflects the real world and the real flying experience. In general, the PC simulators are like games, but when it comes to learning how to fly you can make use of them to the fullest. You will get the chance to work with different models of airplanes, which you have to fly on your own. The various airports of the world are perfectly designed in the software and you have to land safely as real airplanes would. You can control the plane with either the mouse or keyboard or even with a joy-pad. When using flight PC simulators, you have to control and perform tasks that real pilots have to deal with in real life situations. You will be given a job or task of having to take passengers and goods to different airports, by flying the airplane by yourself. While you do this, there will be different weather conditions to choose from. The software often includes different complications, to test your ability in solving them correctly. It is really a lot of fun and it helps you learn the flying process at the same time. Here are some of the key features of these simulators. - Many different models of airplanes are available such as A320 and 747. There are several light singles, various military jets etc. You can also choose different helicopters to fly. - There are endless destinations to choose from. Many airports are available and all of them are with high quality scenes. - Extremely realistic flying sky atmosphere and weather are offered. You can even see the snow falling during winter (in the simulation). - Multiple users can join each other in the pc simulators, using a local area network. 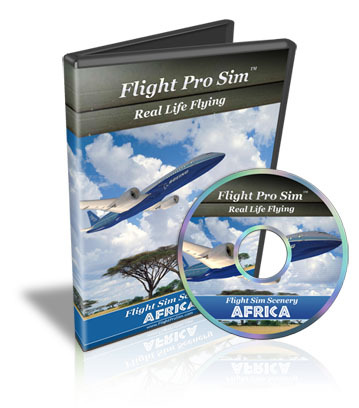 - By professional mode simulations, you can be given pilot jobs. - All of the simulation software has realistic physics simulation. Attractive graphics without physical-reality do not bring the exact feeling of flying. PC simulators are popular among all the instructors and individuals. So if you're a flying enthusiast, get one of your own today.